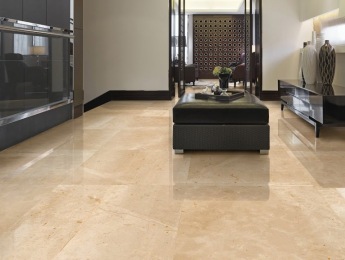 Looking for the latest Porcelain Floor Tiles Sydney has to offer? At Kalafrana Ceramics Sydney Floor Tile showroom in Leichhardt, we take our time to make sure that clients are fully aware of all the pros and cons of their choice of floor tile. Floor tiles can be classified as glazed tiles and vitrified porcelain tiles, with either a matt, honed or polished finish. Floors tiles can be one of the most misunderstood products on the market. There are different formats, textures, hexagonal tiles, glazes and materials to choose from at our Sydney Floor Tile Showroom. Glazed tiles can come with either a clay/ceramic body or a porcelain body with a hard wearing coating applied to it. These floor tiles are durable, require no ongoing maintenance or sealing, easy to clean, greater scope in design and look. The latest High Definition Inkjet Print Technology from Italy and Spain that allows for remarkable copies of natural and manufactured materials. The variation form tile to tile and the small pixilation of the print make it hard to separate from the real thing.....and without the maintenance. For example - Travertine and Limestone look floor tiles without the hassles , Terrazzo inspired porcelain tiles, amazing faux concrete look floor tiles where the aggregate can be seen with up to detailed variations from tile to tile. The possibilities are staggering when it comes to floor tiles. Vitrified tiles are a porcelain-based body with hardly any porosity. They are an extremely hardwearing, durable surface. The solid colors and dotted (salt and pepper) range are true vitrified floor tiles with the same color through the body. The lines with any movement or design in the top face are generally double charged - where the design is only on the top layer, with a similar base underneath. The benefit of vitrified tiles is that they can come in matt, honed, textured (outdoor), and polished finishes. The major drawback is as the tile has no actual glaze they can be harder to clean in the matt finish, and may require sealing in the honed or polished version. A new product at our Sydney Floor Tiles showroom are glass coated range of polished tiles from Spain. They are a porcelain tile with a glaze, then a final glaze of glass. As the glass is polished, not the tile as in typical polished porcelain, there is no need for sealing as no pin holes open up on the polishing stage. Also as it's a glaze print, the manufacturers can imitate stone to such a degree it's hard to tell the difference to the real thing. So as you can see there are a few things to consider. When you visit our Sydney Floor Tile showroom we take the time to go through all the above with you - so you make the correct choice, and select a tile that suits you.